Whenever I come home, I like to dig through all my old “artwork” and scraps to ROFL at. Here’s a pair of items related to my sister. 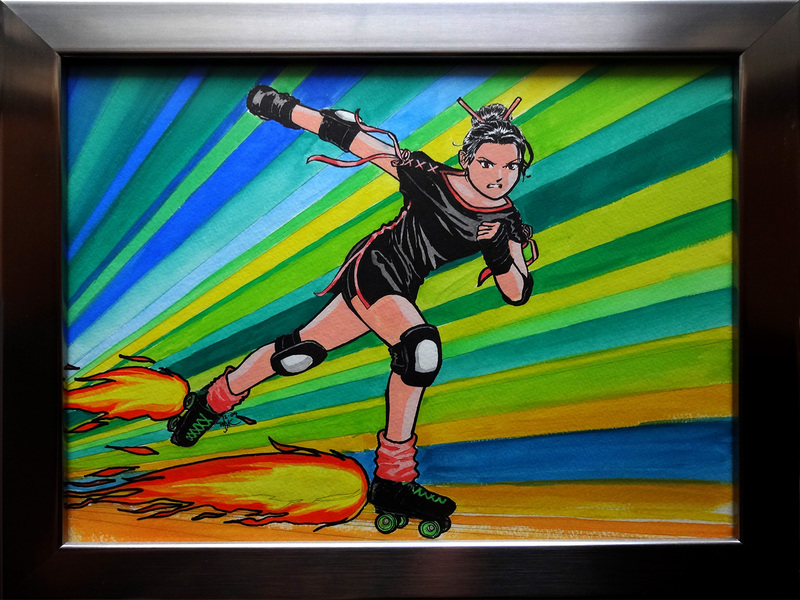 Don’t get her confused with the ice skater of the same name — my sister is a former roller derby star jammer. It’s even fraaamed! This was probably some time around 2006 or something. This next one is what happened when Mimi and I found Mabel’s typewriter, circa 2009. Excuse the Engrish mockery. And the misspelling of sonnet – no erase button on a typewriter, and no use typing a dash over a t. Also, I think the Mount Bonnell stutter was my attempt to keep iambic pentameter.